Just Jussi: The one where I suddenly start designing cowls. The one where I suddenly start designing cowls. 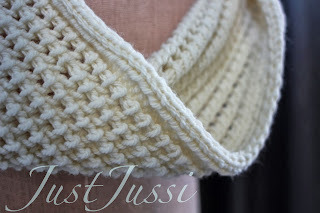 I have been playing around with cowls lately. A few months ago I had contact from a lovely woman by the name of Nan Bray, from Tasmania. Nan rears merino sheep organically and ethically, the yarn spun from the wool of these sheep is beautiful; soft, dense, extraordinarily bouncy. I love the story of this yarn, please visit Nan's website and learn about the yarn yourself, it is now available for purchase here. Nan and I have collaborated (she sent me yarn, I designed with it). When her website went live I published my new cowl pattern Scamander which uses one ball of her Ethically Raised DK, and is delightfully squishy, whether worn long or doubled up. Nan is selling the yarn and printed pattern together as a kit on her website. My Harriet cardigan also uses Nan's yarns, which are perfect for babies, being smooth, cloud soft, rounded yarns. 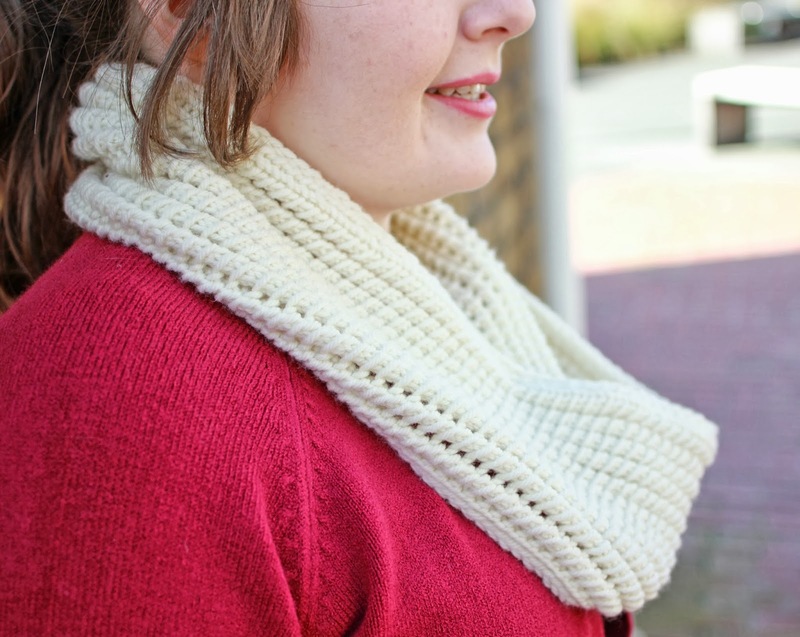 The Scamander cowl is completely reversible, the simple stitch pattern is both charted and written out. Maree from Skeinz sent me some of their new Heritage Organic Merino yarn recently, this is a 4 ply yarn which can work as a sport weight/light DK due to it's amazing bloom when washed. To say that I adore this yarn is an understatement. Everything about it is scrumptious. The new colours are so pretty, and play so nicely together so I decided to experiment with some slip st patterns. I ended up with a gradient in slipped moss stitch. 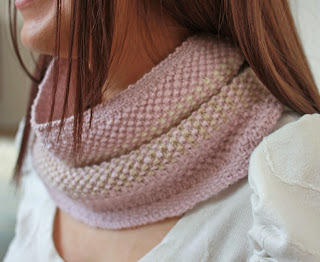 My Rose de Reims cowl is easy to work, easy to remember and once again this pattern is both charted and written out. Worked in deeper, moodier hues this would suit the man in your life too. Or, you could use a handpainted yarn in one colourway as the slip st patterning helps to eliminate flaring and pooling. I have published these patterns until my "Justine Turner STUDIO" label to differentiate them slightly from my baby / child range. Both patterns have been tech edited. I have enjoyed this foray into something a little different (for me). I think will continue to experiment with accessories for adults.